From 26 to 29 October, Eid al-Adha, the most important religious holiday, will be celebrated by Muslims worldwide. Eid al-Adha celebrations take place at the peak of the Hajj, the annual pilgrimage to Mecca, which has to be done on a fixed date according to the lunar islamic calendar that is about eleven days shorter than the Gregorian calendar used in the Western world. The festival, also called The Greater Eid, is held to commemorate the willingness of Ibrahim (Abraham) to sacrifice his son Ishmael (Ismail) as an act of obedience to God, before God intervened to provide him with a ram to sacrifice instead. For Muslims who can afford it it's a religious duty to sacrifice their best domestic animals. The meat is divided into three parts. The family retains one third of the share; another third is given to relatives, friends and neighbors; and the other third is given to the poor and needy. As it is at Eid al-Fitr (The Lesser Eid) the visit of mosques, cemeteries and relatives are part of the feast. 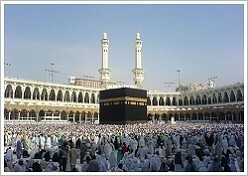 Men, women, and children are expected to dress in their finest clothing to perform Eid prayer. 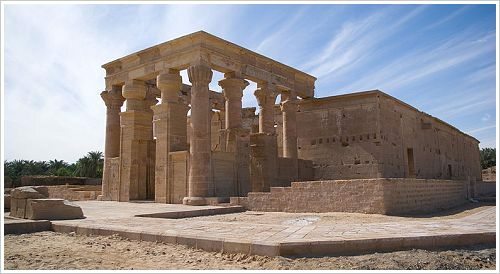 Hibis Temple ranks among the most important and best-preserved temples of the Western Desert and of the Late Period all over Egypt. However, it had to be restored fundamentally due to the rising level of underground water and was closed in the late 1980s. 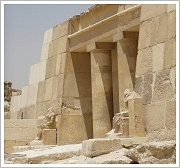 The suggested physically removing of the temple and rebuilding on higher dry ground wasn't possible because of the poor quality of the blocks. 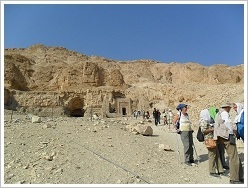 Already on 26/04/11 Zahi Hawass announced the completion of the restoration and the speedy opening. Today, it was happening: Prime Minister Hisham Kandil inaugurated Hibis Temple, which will be open for public from tomorrow on. Already in 1958, a drainage channel was excavated to direct the excess water. The former sacred lake of the temple was re-dug to contain the water. But these measures couldn't prevent that the walls and columns of the temple became more and more fragile and were in danger of collapsing. In the course of further restorations during the last 10 years columns and walls were consolidated, cracks repaired and reliefs restored. In order to protect the temple from underground water, insulation materials were used as a protective layer between the ground and the foundation of the temple. New lighting systems were installed, which allow visitors to look around the temple even at night. 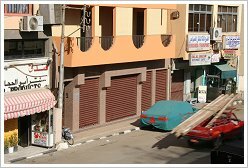 Last week, Egypt's governors' council decided strict new closing times for shops and restaurants. Under new laws to be enforced in November, Egypt's shops will have to close by 10 pm, restaurants by midnight. Pharmacies and tourist gastronomy will not be affected. The government took this step in order to reduce Egypt's energy consumption and to minimise power outages, Additionally, the intention is to prompt owners of unlicensed establishments to register. So as to avoid harsh penalties for violations, they can apply for a licence from the Ministry of Tourism, which will allow them to operate as normal. Around 1,500 restaurants already have licences, which are attended with 10 per cent sales tax (Source: Ahram online). 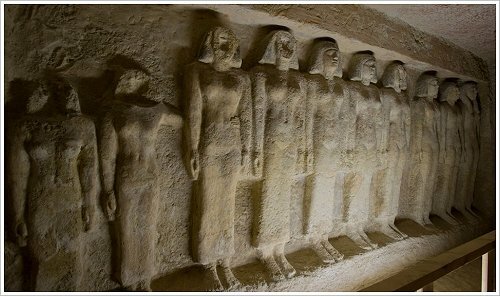 Also since Thursday, six Old Kingdom royal and noblemen tombs with impressive facades like temples are open for visitors. The tombs were discovered in 1927 at the Giza Plateau, on the outskirts of Cairo, and have been closed for restoration since nearly 25 years. Recently, the walls of the tombs have been cleaned, graffiti removed and inscriptions and paintings conserved. The walls are now protected by wood, and lighting and ventilation systems have been installed. 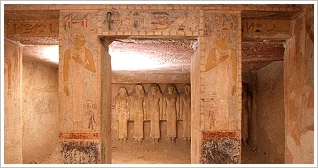 The royal cemetary is located at the eastern necropolis: There is the tomb of Princess Meresankh III (Mastaba G 7530-7540), wife of the pharao Khafre and granddaughter of the pharao Khufu. Her sarcophagus and funeral goods are today in the Egyptian museums of Cairo and Boston. Since 11 October 2012 the Pyramid of Khafre (or Chephren), the second-largest and the middle one of the ancient Egyptian Pyramids of Giza, is again open to the public. 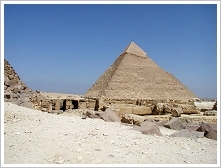 It was the burial place of Khafre, a 4th dynasty pharao (about 2570 – 2530 BC). Giovanni Belzoni discovered it on 2 March 1818 (and left a graffito). Khafre’s sarcophagus, carved out of a solid block of granite and sunk partially in the floor, is still there. The Pyramid of Khafre was closed for 3 years due to restoration as well as replacement of electricity, ventilation and humidity control systems. After the re-opening of the Serapeum end of September it's the second signficant re-opening of a tourist attraction in the sesaon - and more re-openings will follow as Antiquities Minister Mohammed Ibrahim Ali assured. 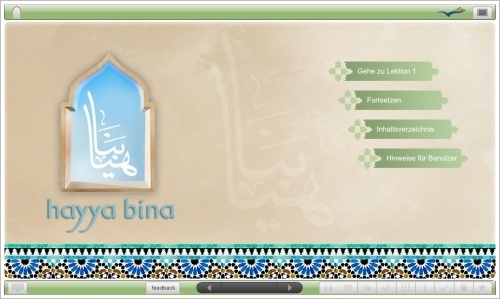 After a year and a half wait (and one year more delay) the EU--funded course Hayya bina, which was announced in April 2011 is now online with 15 lessons. The interactive eLearning course addresses tourists and students as well as business people without prior knowledge. The lessons: 1. Welcome to the Arab world. 2. Meeting our Arab friends. 3. Our first Arabic meal. 4. Our house is our house! 5. Discussing our plans. 6. At the souq! 7. Wher's the National Museum? 8. Making business contacts. 9. At the fruit and vegetable market. 10. Taking a taxi. 11. Oh, dear. What Have I eaten? 12. Dinner with the diretor. 13. Where shall we meet. 14. In the restaurant 15. Saying goodbye. Learners can study with Western script, with Arabic script, or with both. 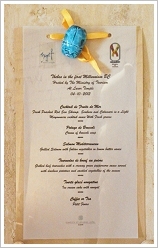 The interface is user-friendly, learner-oriented and clearly organised. Integrated voice recording facilities allow users to record themselves. The conference was organised by South Asasif Conservation Project under the direction of Dr. Elena Pischikova. It was dedicated to bringing together international scholars of the Kushite (25th Dynasty) and Saite period (26th Dynasty) and giving them the opportunity to present their latest research. The cooperation is vitally important for he reconstruction of inscriptions because the most Theban tomb inventories are in the possession of foreign, especially American, museums. 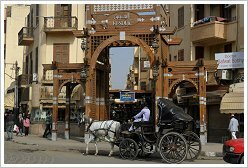 Luxor with its countless tombs and temple buildings dating back to this period was the perfect venue. 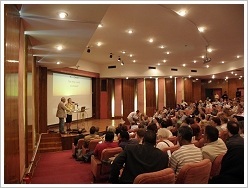 The lecture room of the Mummification Museum was nearly filled to capacity (about 250 seats). Most listeners had come all the way from Europe or the United States, specially for the conference. Upon two most interesting lecture days on Monday and Tuesday followed visits to the North and South Asasif on Wednesday and to Karnak Temple (Ptah Temple, Treasury of Shabaka, Osiride Chapels, Quai and Roman baths) at Thursday morning. The last lectures on Thursday afternoon perfectly rounded out the varied program (detailed report to follow). The conference fee of 80 EUR was from every point of view a more than excellent investment. 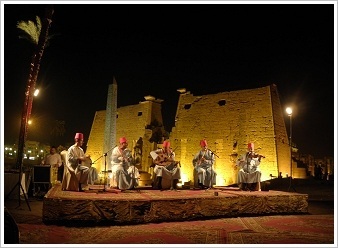 Complete surprise: Mansour Boraik, Director General of Luxor Antiquities, on behalf of the Egyptian Minister of Tourism, invited all conference participants to a candle-light dinner at Luxor Temple.